When a patient has a stroke, time is brain, as the saying goes. In an effort to improve a patient's function and recovery after a stroke, Kaiser Permanente of Northern California redesigned treatment protocols in a program it dubbed Stroke EXPRESS, with EXPRESS standing for EXpediting the PRocess of Evaluating and Stopping Stroke. Key to its success were telemedicine, specialized treatment and a standardized approach, which led to faster diagnosis and treatment. Every year, more than 795,000 people have strokes in the U.S. About 130,000 of them die, making strokes the fifth-leading cause of death among Americans. Strokes cost about $33 billion every year, according to the Centers for Disease Control and Prevention. The Stroke EXPRESS program addresses the long-standing challenge of reducing lag time in treating strokes. For example, emergency medical services begin transporting to the hospital a man whose face is drooping and who can't speak. They call ahead to the emergency room and say they might have a stroke victim. The nurse who takes the call dials an on-call teleneurologist who connects with the local telemedicine robot and opens the incoming patient's chart, provided paramedics are able to identify him and his chart is accessible to the Kaiser network. Once at the ER, a physician begins a clinical assessment along with a stroke neurologist, who observes and participates via the robot's high-quality audio and video. The goal is to assess the patient in five to 10 minutes. If they determine that the patient is having an acute stroke, the team orders alteplase, a medication that dissolves clots. The pharmacy mixes the medication as the team wheels the patient down to a CT scanner. If they suspect the stroke is caused by a clot in a large blood vessel, they also order a critical-care ambulance to arrive at the emergency department, just in case. Ensure that critical processes take place in parallel, rather than sequentially. Train teams in the restructured workflow an hold mock alerts. 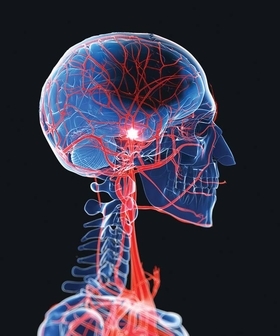 Use telemedicine to get patients access to stroke specialists located remotely. The CT scan checks for bleeding that would contraindicate the alteplase. If the CT scan shows it's safe, the team administers alteplase intravenously. A CT angiogram looks for any blood clots large enough that they need to be extracted, a procedure that needs to be done at a comprehensive center or a community hospital. If a large clot is seen on the CT angiogram, the critical- care ambulance is ready to go. Researchers compared data from the first six months of the program to data from the year before and found that the time from the patient's arrival to administering of alteplase dropped from a median of 52 minutes before Stroke EXPRESS to 33 minutes during the program. Door-to-needle times of less than 30 minutes occurred 46% of the time under the program, compared to 5% of the time the period before. The median number of alteplase cases per month also rose from 38 to 80. Yet the number of stroke discharges didn't change, said Dr. Mai Nguyen-Huynh, a stroke neurologist and a research scientist at Kaiser Permanente of Northern California who led a regional telestroke team. In other words, a greater proportion of patients were being treated with alteplase. Nguyen-Huynh attributed that to the stroke neurologists involved early on in treatment. “Stroke neurologists are much more up-to-date on treatment protocols and regulatory guidelines,” Nguyen-Huynh said. Stroke EXPRESS could also cut disparities in treatment and outcomes. Studies suggest timely treatment with alteplase varies by age, race and gender, but when the researchers examined data from the first six months of the Stroke EXPRESS program, they found no disparities in the use of alteplase or door-to-needle time based on race, gender, age or Kaiser Permanente membership. Overall, those positive results may be due to the program's standardized approach, Klingman said. Stroke EXPRESS began as a pilot at two medical centers in September 2015. By January 2016, it was at 21 centers. The program had to pull stroke neurologists out of clinics so they could be on call. It had to set up teleneurology equipment at their homes and offices. Now, they're hoping to expand the program to other regions and have specialists on call 24/7.